Strategus / All / The Google Series – 10 Handy Google Search Tips! The Google search engine has become an ubiquitous influence that has changed the way we learn, work, travel, socialise, shop, relax and communicate! In all likelihood it also impacts much of what we think, wear, eat, drink, listen to and say. So it is fair to say, for many of us it effects a lot of what we do, and has become a tool that makes life easier. Google wasn’t the first player in the search engine market, but when they arrived they simply did a better job than those before them; producing a better set of results, faster, with the simplest of interfaces. Defying the rules of first mover advantage they are now the clear market leader, and in New Zealand pretty much the undisputed ruler. The reason we have embraced Google as part of our lives is simply due to the value it delivers, its ease of use, and the instant accessibility. Simply type a question in to the search box and literally thousands if not millions of results will be returned. We have come to trust the results this giant company delivers us. We confidently diagnose and self prescribe based on content that Google delivers to our browsers. And while it is not for me to judge whether the “unique, original and high quality content ” according to Google; or the most valuable websites Googles algorithm calculates for a particular search term is right, wrong or some where in between. There is no doubt that we have come to rely Google search results more and more. With the staggering incidence of smart phones across nearly all demographics of society; our mobile devices are helping us take this usage to unprecedented new levels. 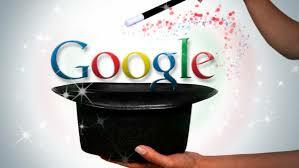 Of course, there are those that have been “googling” for years, that know how to get what they want quicker from the search giant, streamlining the experience, and eliminating the chaff as it were. 1/ Using the filters below the primary search box is a simple way to refine your search specifically for images, videos, maps news, books about the subject you are searching, along with advanced filters for time and country. 5/ If you want to see all the links from any website search site: then the URL minus www. Eg. site:strategus.co.nz. This is particularly handy when you want to search and find something within a site that doesn’t have an in site search facility. 7/ You can use Google as a Timer or countdown, simply type in the amount of time plus the word timer, then click start when you are ready to begin. 8/ If you want to know the sunrise and sunset time simply type in what you are after plus the location. or 20 miles to km, or mph to kmph. Of course if you don’t want to type your question or search, you can simply dictate your request, and hey presto your results will be delivered!